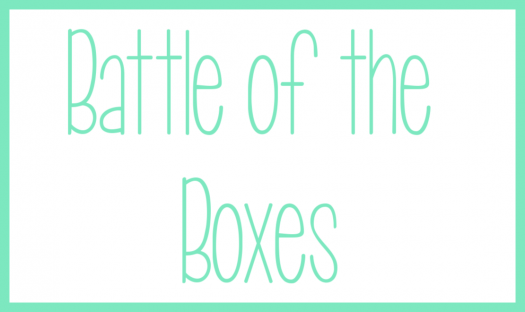 Pennie Post is a monthly stationery subscription service. 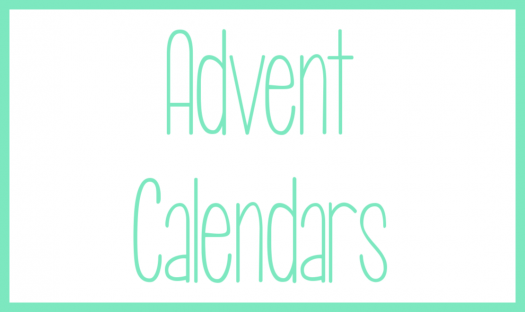 Each month you will receive at least three stationery items. 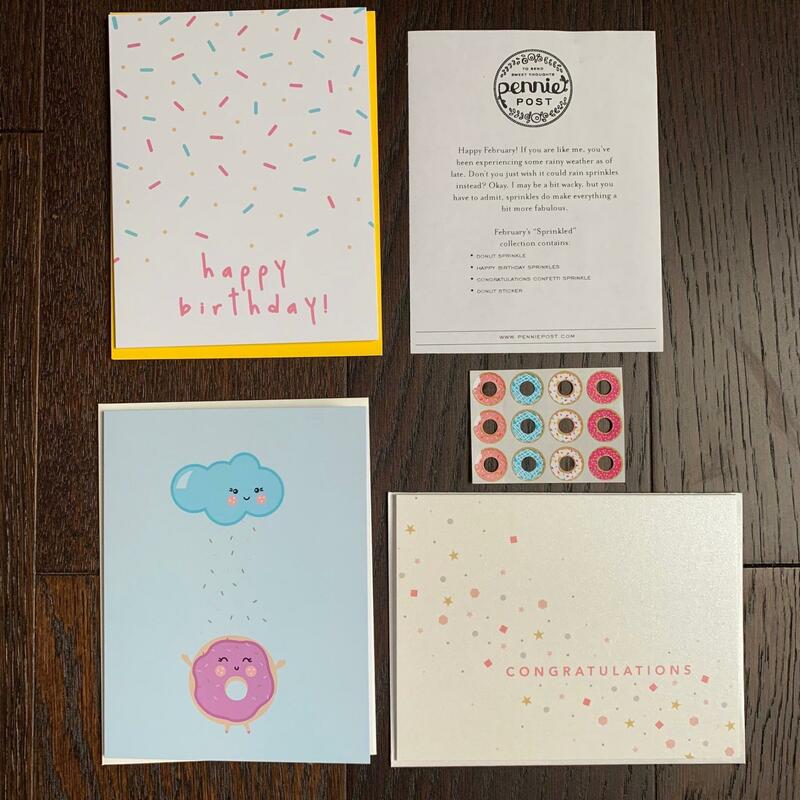 More commonly used greeting cards such as thank you notes and birthday cards will be included more often than other greetings. 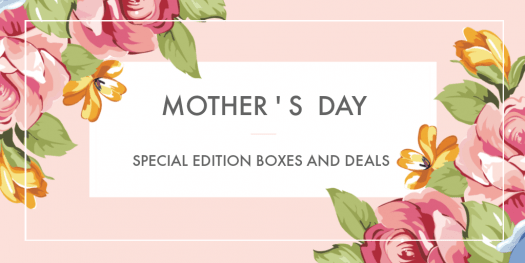 Seasonal cards such as Valentine’s Day, Mother’s Day, Father’s Day and holiday cards may also be included during appropriate months. 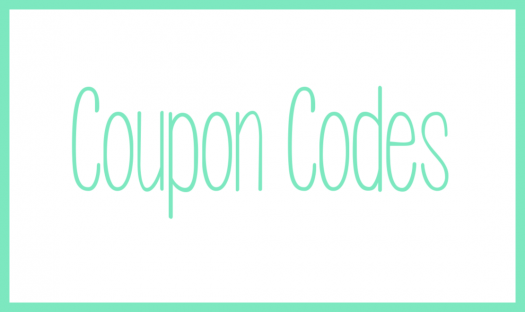 Note: Pennie Post is ending their subscription service. March 2019 will be their last month. 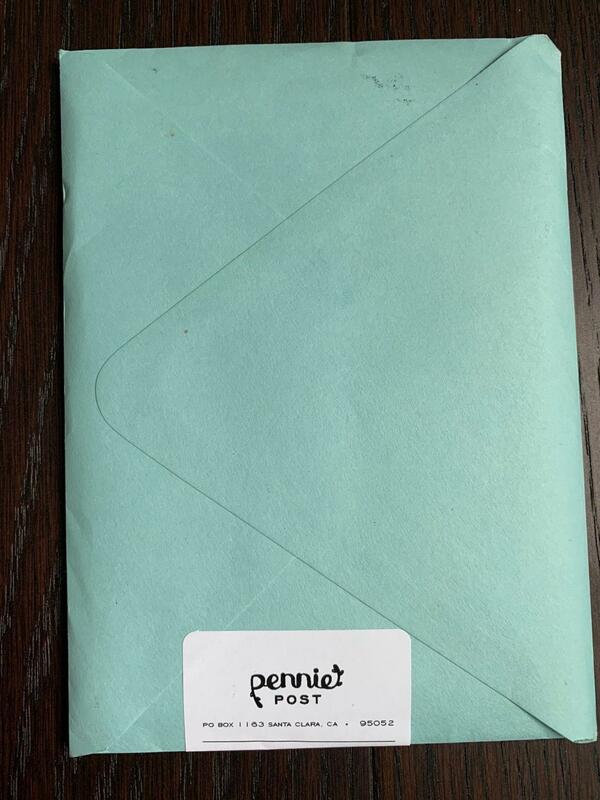 Pennie Post ships via USPS and usually arrives the first week of the month. 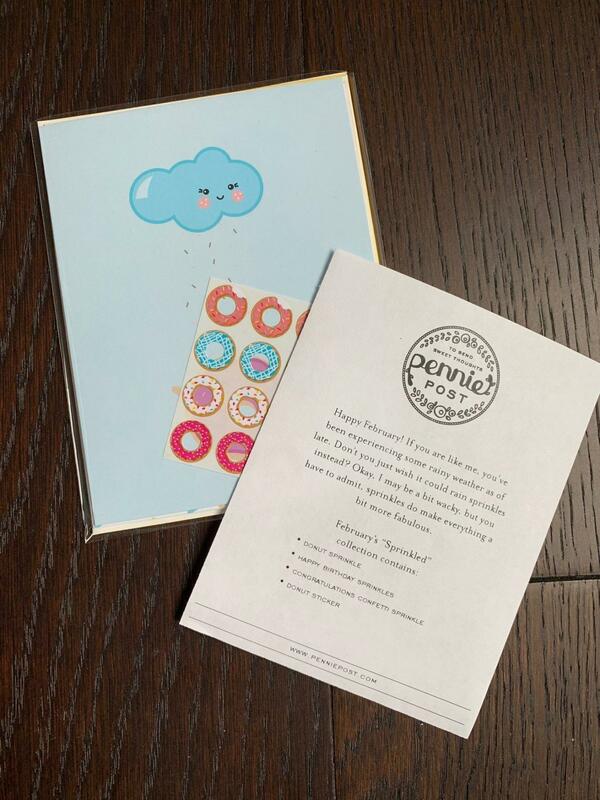 All Pennie Post cards arrive in a clear plastic sleeve and are always in perfect condition. 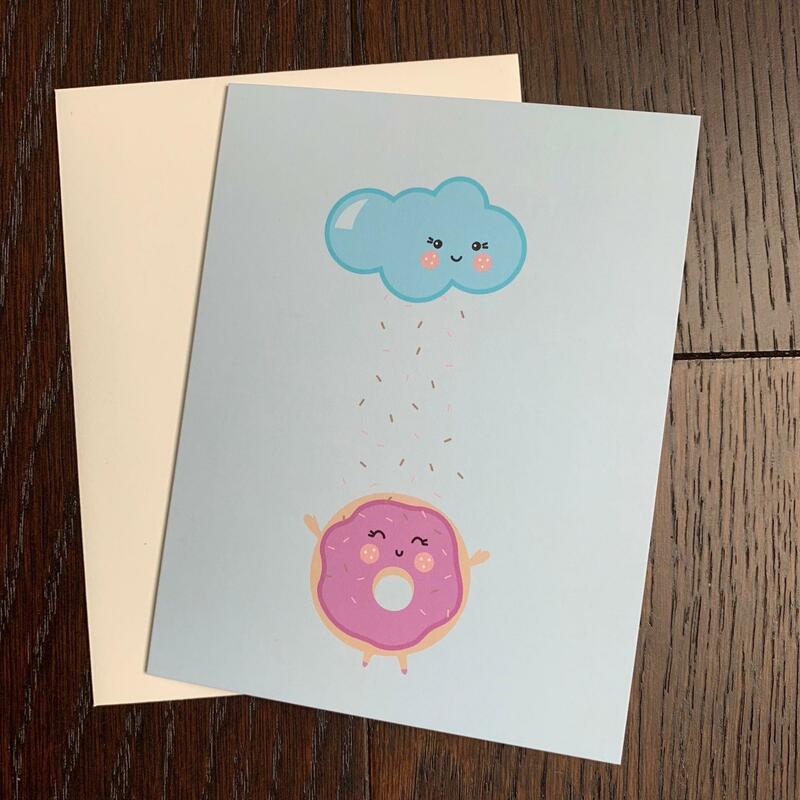 ~Donut Sprinkle: It is too bad that clouds do not actually drop sprinkles! Like the information card says, it would make everything just a bit more fabulous! 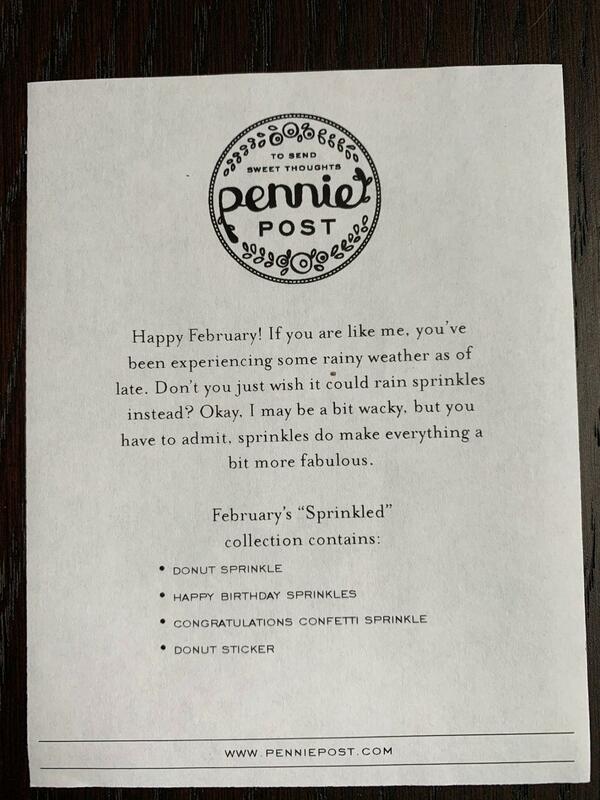 ~Happy Birthday Sprinkles: I kind of like that Pennie Post did not go for a Valentine theme this month. 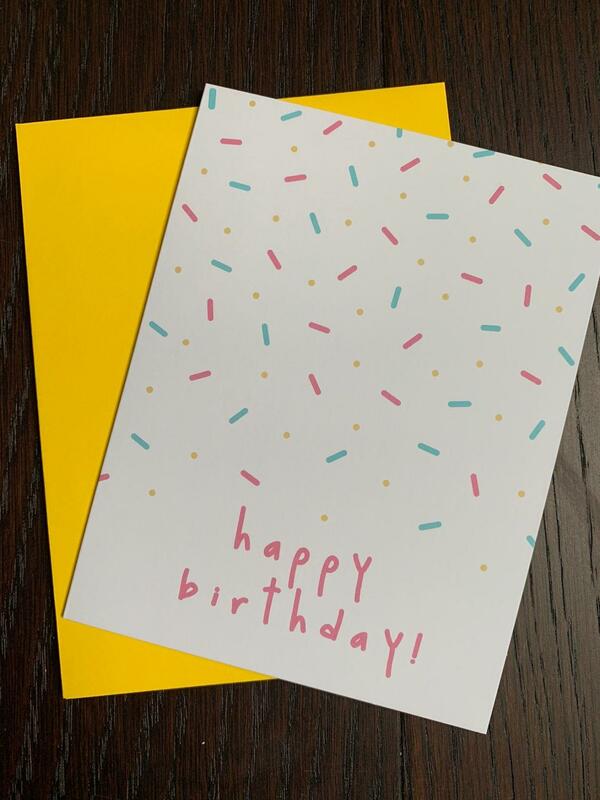 Not everyone has a Valentine, but everyone does have someone to send a Birthday card too. This sunshine yellow envelope makes this card even more fun than it already is. 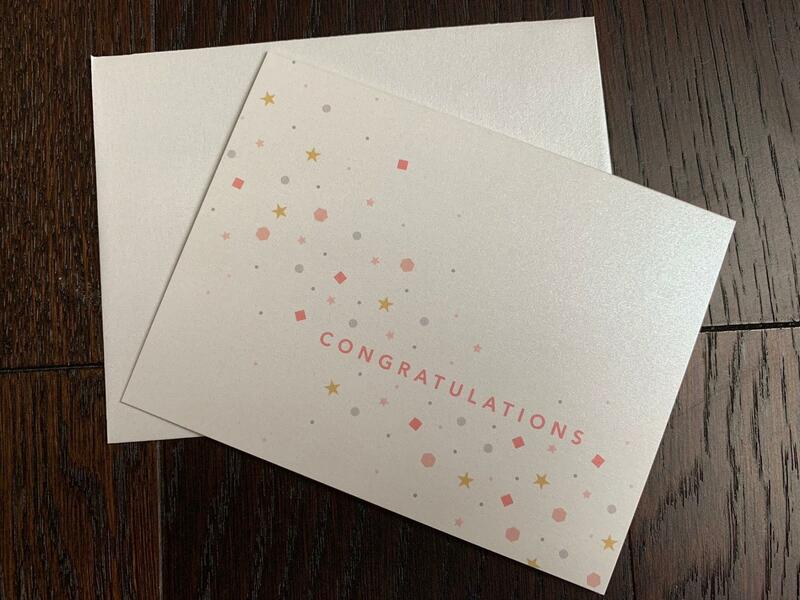 ~Congratulations Confetti Sprinkle: Hopefully you can see the beautiful sheen on this card in the picture. It is a simple card, but the sheen ads so much to it! 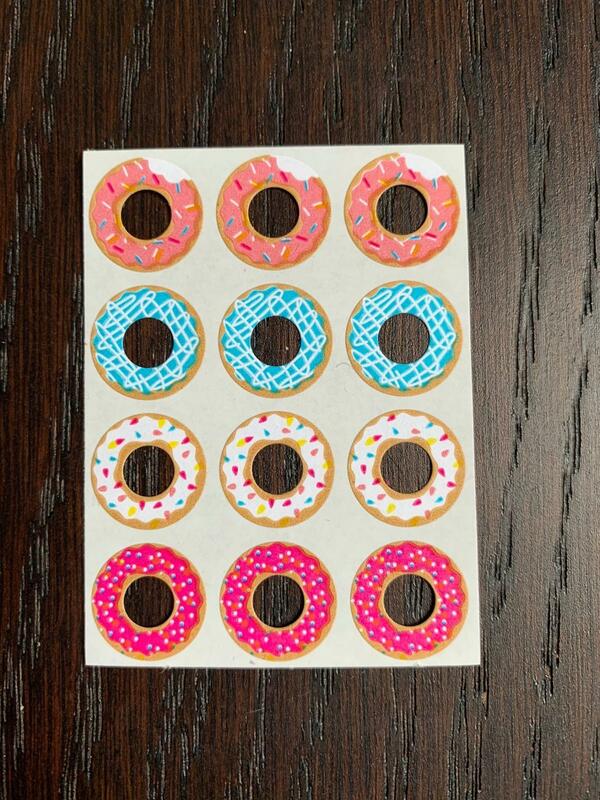 ~Donut Sprinkle Stickers: I mean, how adorable are these? LOVE! You could, of course, use them as decoration on your cards, OR you could use them in planner (that is my plan). 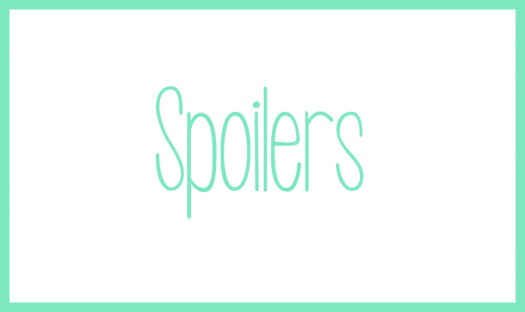 What do you think of Pennie Post? 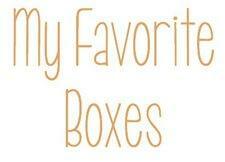 If you are interested in subscribing or just want to learn more, click here.